The Public Accounting Report’s 2013 survey of accounting professors rated these three institutions very highly, with the University of Notre Dame topping the list of medium-sized institutions at Master’s level. With some of the very best accounting programs in the country available in Indiana and an ever-growing demand for qualified accounting professionals, you are in a great position to kick-start your accounting career in this state. As you prepare for a career in accounting, remember that skills and experience will determine your success in this demanding field. This is why the importance of the accounting program you choose cannot be overstated – this is the foundation of your success as an accountant and your gateway into the business world. Keep in mind that an easy program with lenient instructors is unlikely to help you pass the difficult CPA examination or succeed in your career. Make sure to choose an AACBS-accredited course with a rigorous curriculum and take a look at awards and recognition gained by the faculty and students of the course. Student evaluations can also tell you more than the university website, as can statistics such as the school’s CPA exam pass rates or graduate employment rates. Always remember to ask for the most recent figures in order to make your judgment. Apart from standing out academically, a good accounting program should also be rooted in a real and thriving business community. Look out for opportunities for hands-on experience and student involvement through internships, student organizations, volunteering and networking events. Big accounting firms such as the “Big Four” are known to target graduates of top programs in the country, so take a look at the recruiters who come to the school’s careers fair. The accounting school you attend can really make or break your career, so be sure to inform yourself thoroughly before applying for a program and strive for the best option. After all, this is the most important investment you may make in your professional life. As an accountant you will need good financial analysis and reporting skills, mathematical abilities, an eye for detail and a broad knowledge in business and economics. You will also have to pursue at least 4 years of university education and to pass difficult examinations, especially if your goal is to become a CPA. However, if you succeed, chances are that you will never look back: accountants are some of the world’s most indispensable professionals, with plenty of career paths open to them across all sectors. Your accounting career starts with choosing an accredited accounting program and deciding whether you wish to apply for a CPA license in the future. If so, you will have to undertake additional study in order to complete 150 semester hours and you will also need to pass all four sections of the CPA examination. To be eligible for a CPA license, you will be required to hold at least one year of experience and to pass an ethics examination depending on your state’s legislation. As a CPA licensee, you will find that you have better employment opportunities and pay levels and you will be able to join one of the CPA societies that can help you in your career. You might need to undertake continuing professional education courses regularly in order to renew your license. The Indiana accountancy board requires candidates to complete 150 semester hours including a baccalaureate or higher degree with an accounting concentration before they can sit for the CPA exam. In order to apply for the CPA license, you will need to pass all sections of the CPA exam and to acquire at least 2 years of experience in accounting. However, an advanced degree in accounting or business administration may allow you to bypass the experience requirement. There is no age or residency requirement in this state. After you have obtained your CPA license, you will need to complete 120 hours of continuing professional education courses every three years in order to renew your license. In 2013, Indiana had an average annual salary for accountants and auditors of $64,880, close to the national average of approximately $65,000. The state also ranks as average in terms of employment level of accountants. However, average salaries soar as high as $74,000 in metropolitan areas such as Indianapolis-Carmel and Bloomington. These areas offer plenty of opportunities to highly qualified accounting graduates. With a variation in pay of over 130% in Indiana, the field of accounting provides many different career paths and the opportunity to earn more with experience. Skilled graduates are likely to find themselves in a great position to start their career in a business world with ever-changing accounting regulations and a growing desire for transparency. While the University of Notre Dame tops the Indiana rankings in accounting, the University of Indiana Bloomington’s Kelley School of Business offers a no less prestigious alternative. The school is ranked 8th nationwide in accounting by US News and boasts the highest CPA exam first-time pass rate in Indiana. 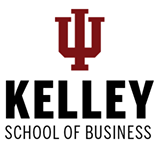 Students at Kelley School can choose between a Bachelor of Science, a Master of Business Administration in Accounting, a traditional Master of Business Administration, a Master of Science in Accounting and a PhD program. Among these, the Master of Science in Accounting is unique in preparing students for the CPA exam by means of an exclusive CPA review course, as well as for their careers by means of field consulting projects. Students gain advanced knowledge in assurance and risk management or taxation and benefit from top quality support in finding employment. The accounting department at Kelley School has a strong focus on employability and offers internships, field study and field consulting experience to complement coursework. With an employability rate of over 90% and starting salaries in accounting of $56,742 on average in 2013, the University of Indiana succeeds in creating highly skilled accountants who are ready to face both academic and real-world challenges. [qs_incontent state=”IN” areaofinterest=”ACCOUNTING” campustype=”both”]The AACBS-accredited Mendoza College of Business at the University of Notre Dame offers one of the top accounting programs in the country, rated 5th at the undergraduate level by the PAR 2013 survey, 2nd by Businessweek and 6th nationwide by US News. Also ranked 18th best university nationwide by US News, the school provides accounting students with rigorous advanced courses coupled with excellent opportunities to gain experience. At an undergraduate level Mendoza College offers 18 credits in accounting courses, while graduate students can complete a Master of Science in Accountancy with two possible tracks: financial reporting and assurance services or tax reporting. The program is designed to equip students with marketable skills in order to become Certified Public Accountants (CPAs) and eventually leaders in a dynamic business world. What is more, there are plenty of opportunities to acquire experience that will make you stand out in the crowd: the Center for Accounting Research and Education, the Tax Assistance Program and the numerous student organizations on campus provide possibilities to get involved during your studies. The accounting department at Mendoza College has all the makings of a top quality program that can help students succeed in accounting and beyond. Ranked 40th nationwide by U.S. News, the Krannert School of Management at Purdue University is home to some of the most prestigious accounting degree programs in Indiana. In 2013, Public Accounting Report rated the undergraduate and Master’s programs at Purdue University as the 20th and 22nd best respectively in the small institution category. At the undergraduate level, students can pursue a Certificate of Advanced Accountancy or a major in accounting. The latter includes courses in forensic and international accounting as well as management and business courses to provide a solid background for any type of career. Graduate students can enroll on the Master of Science in Accounting and gain in-depth knowledge specific to their individual career goals. Graduates are well placed to gain employment with the Big Four or Fortune 1000 companies, as well as regional and local accounting firms. What is more, students interested in an academic career can opt for the Accounting PhD program at Krannert School. The Muncie-based Ball State University is listed among the top 200 universities in the country by U.S. News. Its Miller College of Business holds separate AACSB accreditation for its accounting program and offers a comprehensive education to prospective accountants. You can pursue a Bachelor’s Degree in Accounting as well as a Master’s Degree in Accounting at Ball State University. The Bachelor’s degree includes a general core curriculum, business core courses, specialized accounting courses and electives. The Master’s degree offers advanced courses in taxation and information systems, as well as financial, management and international accounting. The curriculum is completed by a capstone course in accounting and elective courses. This advanced degree will prepare you for CPA certification and for a successful career. The school boasts immersive learning, a solid curriculum including a broad foundation in business, and excellent networking opportunities. Graduates have secured employment with major accounting firms including the Big Four.